Contributing to a cleaner planet by assisting in clean up efforts. ARC delivers the skills and expertise to meet todays IT infrastructure challenges. ARC conducts research in multiple disciplinary engineering areas including Composites, Computational Mechanics and Robotics. FIU's Applied Research Center is a worlds ahead research organization specializing in solving real-world problems through multi-disciplinary research. 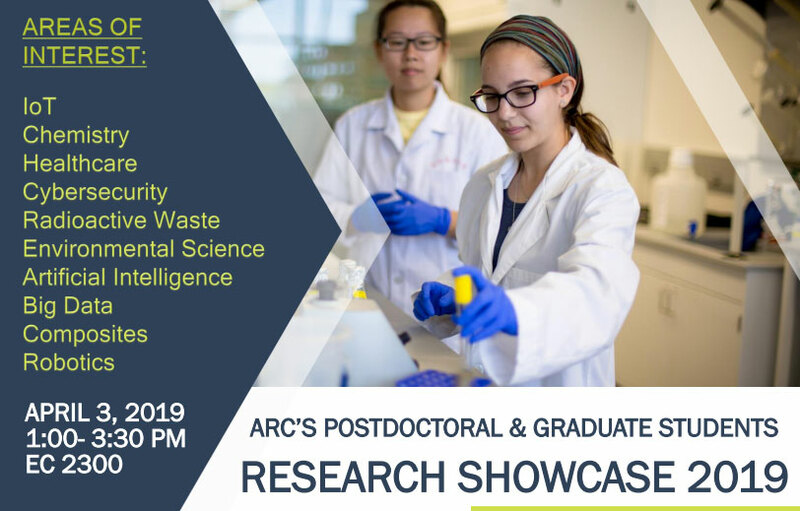 ARC’s Environment research areas include: soil and groundwater remediation; radioactive waste; deactivation of nuclear facilities (D&D); water resources; and novel applications of GIS tools. Energy research is in: radiochemistry & nuclear power; clean coal; and green and sustainable technologies. ARC has been recognized as a global provider of advance and complex information technology enterprise solutions. Also as a leading cybersecurity research center and a mobile applications provider. Our solutions are tailored to deliver critical information for any industry while keeping our clients informed, connected and secure. At ARC, both applied and basic research are being conducted in areas of engineering that spans across multiple disciplines including Composites, Computational Mechanics and Robotics. The Workforce Development Program is an innovative program between DOE-EM and FIU-ARC to create a “pipeline” of minority engineers specifically trained and mentored to enter the DOE workforce in technical areas of need. If you have a comment, we want to know.